How Far is Arihant Greenwood City? Arihant Greenwood city a Residential Project is developed by Arihant Foundations & Housing Ltd in Navalur, OMR, Chennai. This Project is offering Residential plots of 2000 Sqft for sale in OMR with high standard infrastructure, and plots are designed to build a home of your desired choice. Being at one of the prime location, the best place for investment in Chennai.it has the best connectivity with other parts of the city through different modes of transportations, just 5 km from Sholinganallur junction along Old Mahabalipuram Road which is near to many IT companies and renowned Educational Institutions, Hospitals. moreover, Navalur has become The Shopping Hub in Old Madras road for nearby places like Sholinganallur, Chemmanchery, Thalambur, Padur, Kelambakkam, Pudupakkam, Thiruporur and more. Many International and National brand stores are available in this area. Banks Associated with This project is SBI, LIC HFL, Axis Bank, DHFL, ICICI, PNB and more, in addition to this, the Arihant Greenwood city in Navalur provides best amenities like Pool Table, Tennis, Cricket Net, Wide Roads, Sewer Line Landscaped streets & green area, Water treatment Plant, Duct for Electrical and communication cables, Multi-purpose Hall, Swimming Pool, Clubhouse and more. fresh air, sunlight and these amenities make it an exceptionally attractive place to live in. Close proximity to OMR which is a 6 lane IT corridor and houses IT companies like Infosys, Wipro, Satyam, HCL etc.OMR is now the New Chennai and all set to become a city in itself. Close to Sipcot, Siruseri an IT SEZ which houses companies like TCS, Cognizant, Hexaware, Syntel etc. 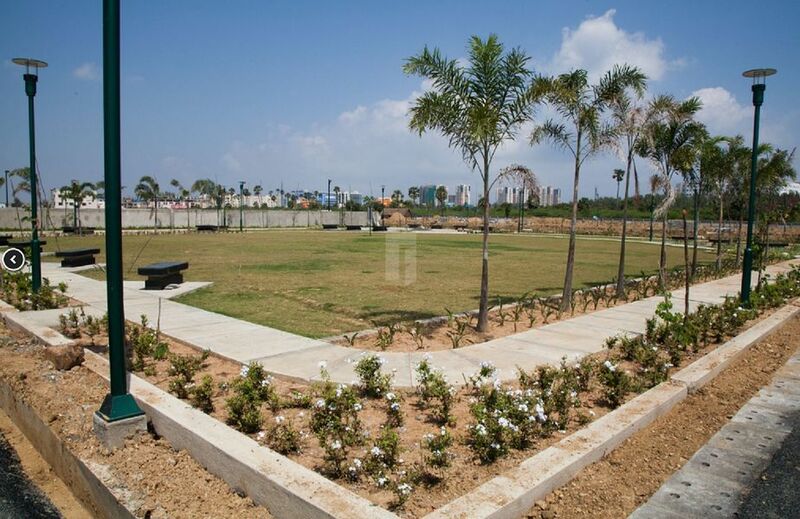 Walking distance from ETA Technopark, an IT SEZ spread over 25 acres. A large number of colleges and schools are nearby. To name a few Satyabhama Engineering College, Jeppiar Engineering College, Vales Engineering College, Abacus Montesori etc. Hospitals and medical facilities like Kamakshi Hospital, Chettinad Hospital and Lifeline are at close distance. Leisure, shopping and recreation facilities are close by with Coromandel Plaza shopping mall 1 km away and with good connectivity to Fisherman?s Cove, VGP, MGM Resorts, Radisson GRT Temple Bay etc . Arihant Foundations & Housing Ltd. was founded as a corporate entity in 1995 by promoters with vast experience. Since then they have transformed the thinking of the real estate industry in Chennai with their innovative architecture, comfortable design which will suit the modern lifestyle of their clients. Their management team consists of people which are expert in their own field they are, Bharat M Jain, A Damodaran, Col. A L Jayabhanu are directors of the company, Vimal Lunawath is Executive Director, Kamal Lunawath is a managing director. They had built many commercial and residential projects by their experienced architects and designers with amenities to give a comfortable life to their home buyers. Arihant Chetna is an ongoing project which consists of 2BHK and spacious 3BHK apartment in Perambur, Chennai. Arihant Foundations and Housing Ltd. is a public limited company listed in the Bombay Stock Exchange (BSE) and National Stock Exchange (NSE) where it enjoys the trust of retail. They had built many projects which are ready to move, some are under construction and some are sold out, North Town Chaitanya , Arihant Villa Viviana Plot and many more are ready to occupy. Every endeavor should revolve around two aspects. Enhancing the environment and maximizing customer satisfaction. The real success lies in delivering our promises by working with honesty & transparency and building on integrity.